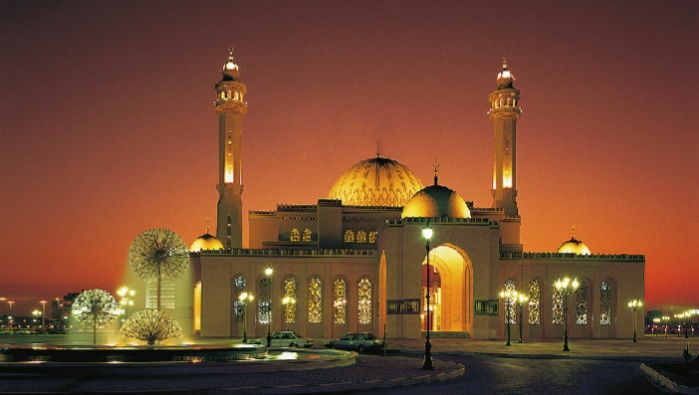 The Kingdom of Bahrain is an Arabic island country in the Persian Gulf ruled by the Al Khalifa royal family. 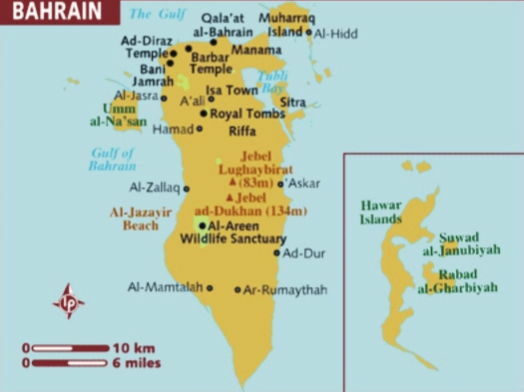 Bahrain is an island country in the Persian Gulf made up of more than 30 islands, including the largest, which is also named Bahrain. Saudi Arabia lies to the west and is connected to Bahrain by the King Fahd Causeway, which officially opened on 25 November 1986. Qatar is to the southeast across the Gulf of Bahrain. The planned Qatar–Bahrain Friendship Bridge will link Bahrain to Qatar as the longest fixed link in the world. The country now enjoys one of the highest standards of living in the Persian Gulf area. It has one of the highest literacy rates in the region, and education is free. The government also provides free medical care. Bahrain is headed by a ruler called an emir. The emir appoints a Cabinet of 15 members and a prime minister to run the government. Bahrain occupies a strategic position on the great trade routes of antiquity with good Natural Harbours and abundant fresh water. Its people have always been natural merchants. 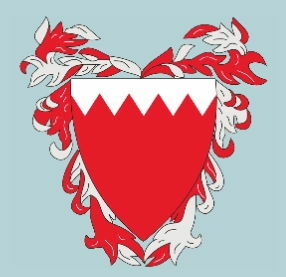 For hundreds of years, Bahrain was a center of trade and communications in the Persian Gulf region. Dilmun, a prosperous trading civilization, occupied the islands about 4,000 years ago. Bahrain was the first place on the Arabian side of the gulf where oil was discovered. The discovery of oil coincided with the collapse of the world pearl market, which was its chief export. The discovery of oil revolutionized the complete area, which had changed little for centuries. In recent years Bahrain's economy has become more diversified and less dependent on oil. Award winning modern architectures stands side by side with ancient Mosques and the narrow twisting maze of the traditional souqs are juxtaposed with a host of new shopping complexes. Traditional wind towers set against modern high rise business buildings are constant reminders that past and present confide here. The country's rich heritage and culture are revealed in its museums, archeological sites, handicrafts centres and preserved structures. 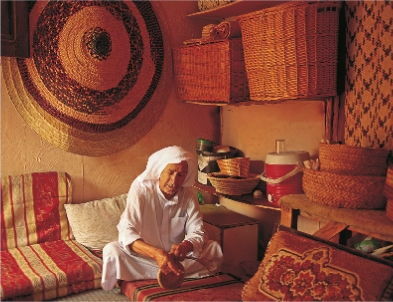 The village of karbabad is famous for its basket weaving. Village folk sit outside their homes making baskets, place mats & chicken coops from the plentiful date palms. That surround the village. Northern Bahrain receives most of the little rain that falls- about 3 inches (8 centimeters) a year, mainly during the winter. Summers are hot and humid. Arabic is the official language, though Farsi and English are spoken. As flashy and modern as central Manama may be the basic rhythms of life in the islands many villages remain remarkably traditional. Traditional craft work continues in several places around Bahrain dhows are built on the outskirts of Manama and muharraq cloth woven at Bani Jamrah and pottery town at A’ ali A few goldsmiths still handycraft exquisite jewelry at the souqs, though a lot of work is now done abroad. 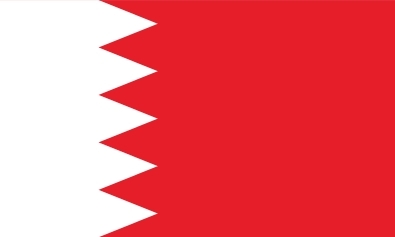 About 80 % of Bahrain's peoples are Arabs. Large groups of Indians, Iranians, and Pakistanis also live in the country. Many Bahrainis, especially younger people, wear clothes reflecting western influences, about others still wear traditional Arab dress. 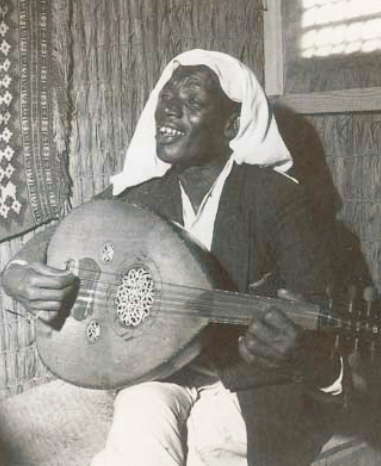 Bahrain citizens, who make up about 60% of the population are from three main groups, the Baharna are descendents of Baharians original inhabitants the Hassaris whose forbearers emigrated from Saudi Arabians Eastern province and the Ajamis are the descendents of emigrants from Iran during the past 100 years or so Non-Bahrains are mostly guest workers from the Arabian peninsula Iran, south and East Asia. The electricity, free medical care, and other services Bahraini’s enjoy are due mainly to oil profits. Bahrain actually has only a small supply of petroleum, but its oil refinery, on the island of Sitrah, is one of the world's largest and most modern. Manama, Bahrain's capital city, lights up for a religious festival. Bahrain, a major banking and financial center for the Persian Gulf area, also serves as the Middle East headquarters of many international companies. Bahrain's economy depends largely on the petroleum industry. 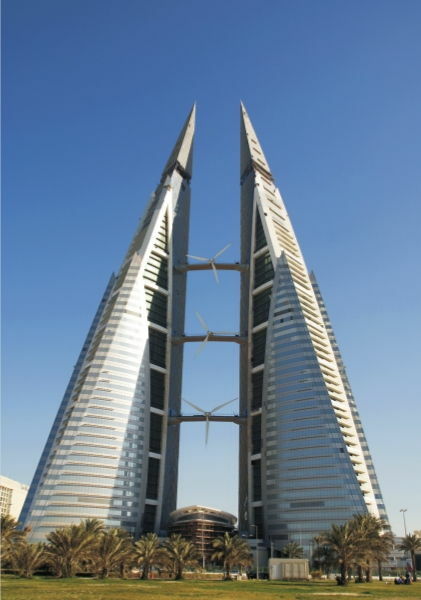 Bahrain today ranks as a major banking and financial center for the Persian Gulf region. Modern warehouse and port facilities help make it a major trading center as well. Ship repairing is also an important industry in Bahrain. Factories produce aluminum and aluminum products, ammonia, iron, liquid natural gas, methanol, and petroleum products. Farmers grow dates, tomatoes, and other fruits and vegetables on irrigated land, and also raise cattle and poultry. Fish and shrimp are caught in the country's coastal waters. Fresh water springs provide ample drinking water on the northern coast of Bahrain, and farmers also use this water to irrigate their land. Coffee drinking, which is associated with Bedouin culture throughout the Arabian peninsula, is flavored by a large percentage of Arabian population. The traditional coffee shop found on street corners, is a community gathering place where men converge to play cards or backgammon, drinking black Arabian coffee or chai – tea in a relaxed manner while smoking a sheesha water pipe. 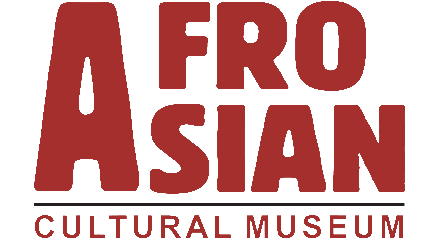 2019 Afro Asian Cultural Museum, Pune.